“Colin Asher has written a deeply researched, moving account of a great writer’s life. 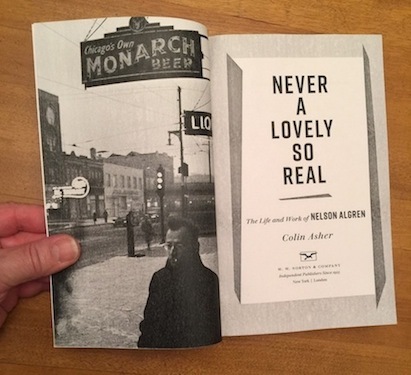 Nelson Algren was a titanic talent, a mid-20th century comet of a novelist who lit up the literary landscape for two decades, then mysteriously darkened and all but disappeared. Asher’s biography goes a long ways towards explaining why.” — Russell Banks, two-time Pulitzer Prize finalist, and author of The Sweet Hereafter, Continental Drift, Cloudsplitter, and many others. Here’s why I’ve been waiting for it. UPDATE: Dec. 9 –I’ve received a reading copy of uncorrected bound galleys. 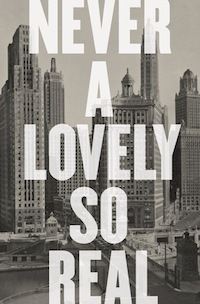 Finally, a biography that makes sense of Nelson Algren’s life. Iconic treatment of the cover. Headstone design of the title page.